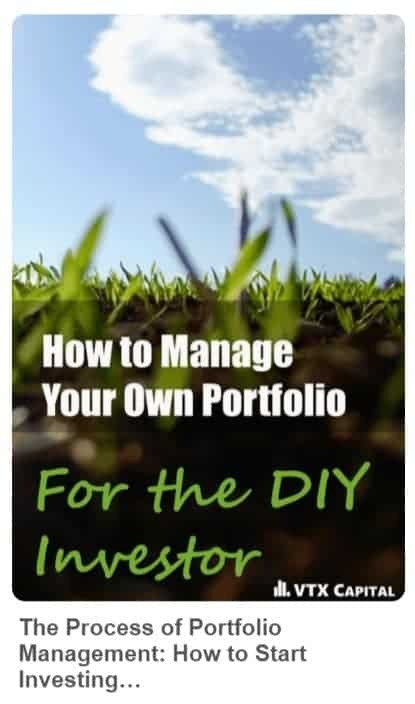 Earlier this month Ben and I had, what we’d deem to be, a successful blog launch for our completely new personal finance site DollarSprout.com. It was a rebrand of our old blog, VTX Capital, but the new blog has all unique new content, new social media profiles, new everything. We effectively started over. From scratch. From that experience I want to share some things that may be able to help you learn how to launch a blog successfully (even if you’ve already started your blog). When it comes to blog marketing and getting your name out there, email outreach is key. We made a pretty big effort to email other bloggers in our niche (personal finance) to let them know about our new project. 1. I wanted some key players in our niche to be aware of our launch plan. I wanted them to hear from me (as a person) before they stumbled upon a DollarSprout article on social media for the first time. Establishing some humanity behind your brand from the get-go is something I think is important. 2. If you have good content and are not a jerk, some of these people have large audiences and are more than happy to share your stuff. I wanted that to happen. Most new bloggers start their marketing efforts on social media with a direct-to-consumer (reader) approach, as shown below. Out of the 40 emails I sent, 20 replied to me and/or shared the new site to their followers. Some people I never heard back from, which is completely normal. Networking emails get a bad rap these days. Most outreach emails are generic templates that are 100% self-serving and non-personalized, which is why most people, myself included, ignore them. That’s why I took the time to make every single email unique. I also made it a point to tell each blogger that I was not asking for any favors — I just wanted to let them know about our launch plan. My message to them had absolutely no strings attached. And no two bloggers got the same exact email. And I’m not just talking about using a mail merge to add their first name in. I actually took the time to write something unique for each person. Try it out. You might be surprised at the results. 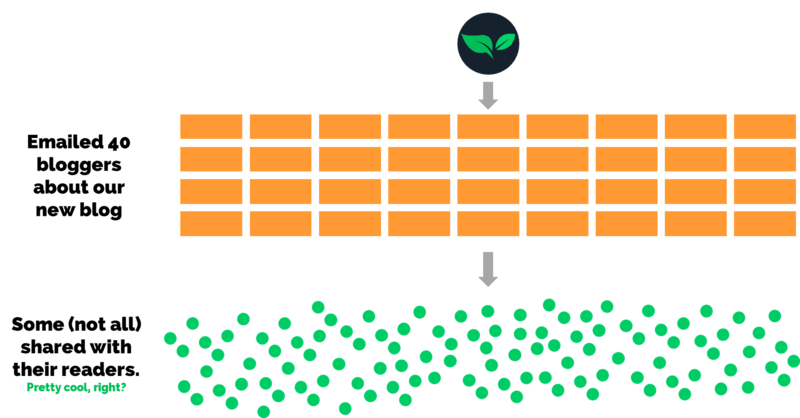 Of the 13 articles that DollarSprout launched with, it was no surprise to us that the best performing article so far has been an article “type” that did well on VTX Capital (our old blog). 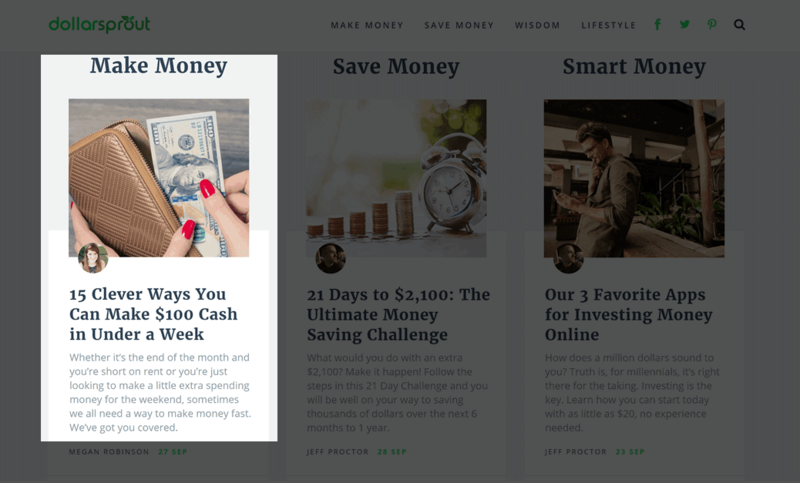 It was a simple article on how to make $100 in one week, something that no doubt has been written about plenty of times before on other blogs. But we know people like that kind of content, so we made sure to give the people more of what they want. That’s one tidbit on how to start a successful blog that took us a long time to understand. We used to write the content that we wanted to write instead of what others wanted to read. Try to always be aware of what other successful bloggers are doing in your niche. If they seem to be pushing a certain type of content harder than others, there is probably a good reason why. 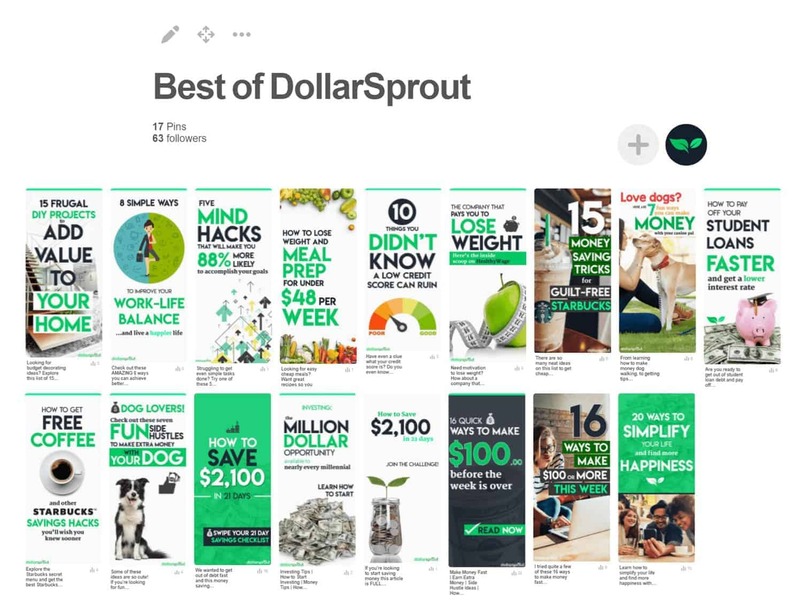 I know there are tons of Debbie Downers out there saying Pinterest is dead and that it’s too crowded, but DollarSprout is proof that there’s still plenty of room for even brand new blogs (like ours) to grow beyond just your average blog traffic. At the time of me writing this, our Pinterest account has less than 100 followers. We learned Pinterest design through trial and error so you don’t have to. Designing pins is not intuitive — it is a skill that has to be learned. I hate to admit it, but at the time I thought this was a masterpiece. Yikes. You may have heard me talk about our Pinterest Course. The reason I’m so pro-Pinterest is because it works. If you know what you’re doing. Our course focuses primarily on design, but we’ve recently added some other extra bonus materials, including 14 pages of printables and a detailed group board strategy guide (with video). 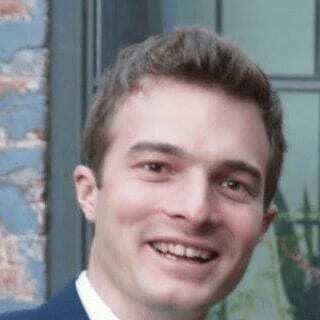 “I had been playing close attention to what Ben & Jeff were doing with Pinterest. Their results growing two separate blogs in a short time speak for themselves. Another student emailed me last week saying he has already seen a 2,000 visitor uptick in traffic just a few weeks after taking the course. 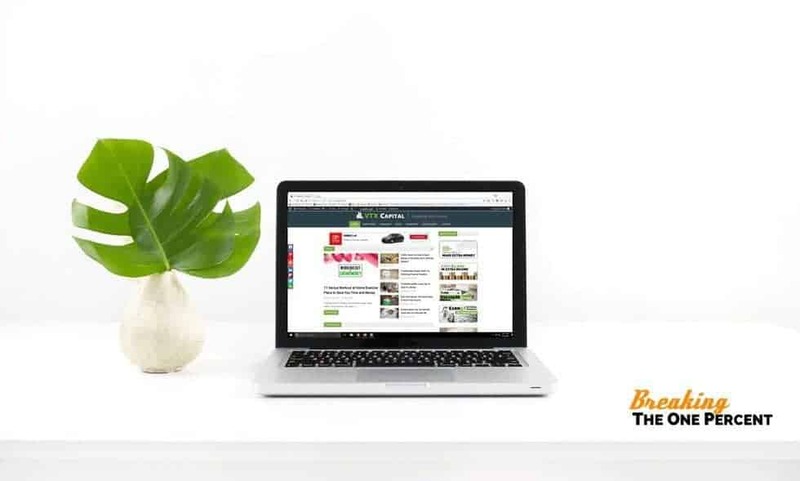 Simply put, the strategies in this course are the exact ones we have used to grow DollarSprout from 0 visitors to several thousand in less than 10 days. 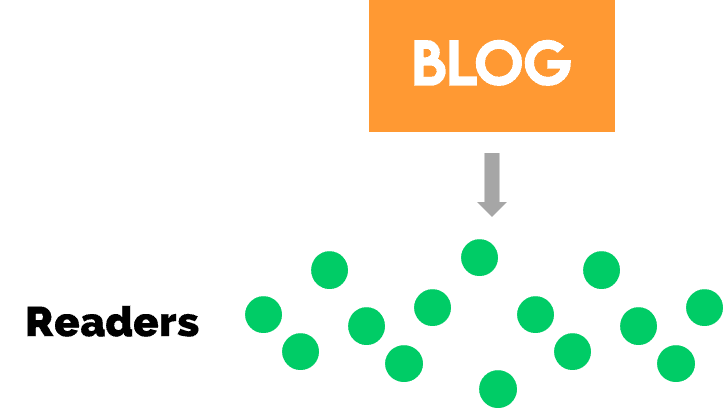 If you want to build blog traffic fast, this course can help. 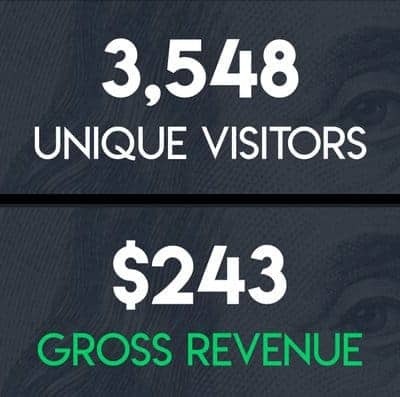 In its first 10 days of existence, DollarSprout has generated $243 in revenue from 3,548 unique visitors. That comes out to a session RPM (Revenue Per 1,000 Sessions) of about $68. For full disclosure, we have invested about $150 into Facebook ads, as apart of our launch plan, which resulted in 1,050 unique visits and about 400 page likes. (So approximately 1/3rd of that $243 revenue can be attributed to paid Facebook traffic). The other 2/3rds of the $243 resulted from free Pinterest traffic. We have no way to exactly match revenue with traffic sources, so these breakdowns are estimates, to a degree. The site is monetized with affiliate links, meaning that we get commissions for every sale or lead we generate that comes from a referral link on our blog. We have zero display ads. You don’t have to wait years before you start making money from your blog. With the right blog marketing strategy, you can make money blogging the very second you release your blog launch announcement. If you are strategic in approaching your blog as a business and are intentional in where you invest your effort and time, you really can make money shortly after your blog launch. Realistically, though, it will take time to learn all the ins and outs. But you can’t start learning until you actually start doing. There is only so much prep work you can do before you finally just have to pull the trigger and launch a blog successfully. Ben and I were definitely guilty of wanting the site to be perfect when it launched. We probably could have launched several weeks earlier (and thus started generating revenue sooner), but we let a few admittedly small things prevent us from going live. Adding affiliate sub-IDs to every single post. SEO optimizing every single post. Customizing “related posts” for each article to optimize reader flow to conversion based articles. Creating two separate opt-in freebies grow and convert readers as quickly as possible. Technical issues. So many small glitches that very few people would have actually noticed. All of these things could have probably been addressed after the site was live, but we chose to wait. I don’t think it was bad to do it that way, but I think we need to be careful of the perfectionist mindset going forward. Guys, the opportunity is out there. The problem is that it takes an insane amount of work to grab hold of it, and most people aren’t ready to make that commitment. If you aren’t happy with your current income levels, know that blogging is a viable option to close the gap between your current income and what you want to earn. It’s definitely not for everyone, though. But, if you make the choice to be persistent and to learn how to launch a blog successfully, there are no limits to what you can accomplish with your blog. $243 isn’t a lot of money to some people, but for something that is 10 days old and already profitable, I know that Ben and I are on the right track. Ben and I personally recommend Hostgator to get your blog up and running. Why HostGator? In our view, they are the best all around hosting company for new bloggers in terms of performance and cost. They’ve also got a great infrastructure to accommodate your blog as it grows, which is really important. For as little as $4.95/month you can start today. Seriously, for less than a cup of coffee, you can start something that could truly change your life. It absolutely has for Ben and me. If you decide it isn’t for you, you can cancel and get a full refund. Bonus: Use the coupon code BTOP42 for 42% off your hosting package. Now you’ve really got no excuse to get started with your very own blog launch! Absolutely incredible! I honestly had no doubt you guys would be making money within the first week of launch. So excited for you guys and your new site. BTW we might have to talk about Facebook ads down the road. Just tapping into them after more than a year of blogging hahaha. For sure – we’re just now getting there ourselves but I’ve put a ton of time into it and I think its really going to finally start paying off in a big way *fingers crossed*. Wow, amazing results. You guys have built a great site and I’m excited to see how far you take it moving forward! Thanks Mike, we’re actually taking it slow (which I’m sure we’ll right a post on later too)! A new launch is allowing us to A/B test a whole lot of stuff from the get-go so we’re pretty excited to see how things go/learn from it. LOVED this mini income report. Everything about this post, and Dollar Sprout, makes creating a profitable blog SO tangible for the readers. I’m really impressed you guys took the time to write a personalized email to all those bloggers, too. I had enough trouble sending a personalized email/cover letter whenever I applied for jobs…… ha. Hey, what blog theme do you use? Best of luck with DollarSprout. Excited to see what’s next. That is awesome to hear!!! Thank you so much for your support and best of luck to you in your new blog! Congrats on the launch of your new blog and seeing success right out of the gate. It amazes me how some people can run more than one blog. I am really loving Pinterest now that I have been following your guide. I’ve finally been approved to some group boards and have been following your strategies. From just the short time that I’ve been focused on using group boards to help my blog grow. I can definitely say it’s worth the trouble of finding some to join. I’ve even created a spreadsheet on Drive to help me keep tracking which groups I’ve applied to and which ones I need to reapply to. Thanks for sharing everything you do, it’s definitely helped me with my Pinterest marketing. We use Ultimate Conversion by Envato (I think we paid like $29.99 a little while back but its $49 now – still a good deal IMO). It’s a good one to get started on if you’re on a budget to start. Thanks for sharing your experiences! Launching a blog is not an easy task, but worth it in the long run. Personal branding is becoming more and more popular these days and has a lot of financial benefits associated with it. Like helping you get a new job or becoming a freelancer. Or just self-publishing! Have you considered doing YouTube yet? When I started my blog I was just focused on content, now I’m working more on the promotion side of things. YouTube is a must in my opinion. From what I have been seeing from other bloggers such as yourselves is that Pinterest is worth the time investment. So it may be time to go back and evaluate using it as a way of generating traffic to my blog.